Your FPS Freight Center provides everything necessary to take care of your less than truckload shipping needs from the planning stage to final delivery, including help with the proper freight class. Our program doesn't waste your time with unrealistic "instant" freight rates that end up costing you more in the end. Instead, we provide everything you need in a proven system that ensures competitive LTL truck shipping rates and peace of mind. Our LTL trucking process is as simple as all of our other integrated freight solutions: EMAIL jeff@freightprosource.com or call us at 352-650-0678 with what you are shipping in detail (dimensions and weight of pallets or crates) and we do the rest. In a matter of minutes, we will arrange your pallet or crate shipping with the best truck freight companies for prompt pick up and savings. Whether you want the easiest and best value for one-time LTL freight from Seattle WA, or you're comparing LTL shipping companies for multiple shipments, the wise choice is to let us use our resources to save you time and money. 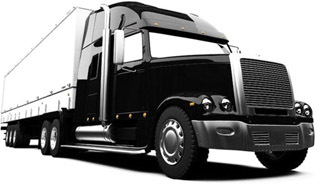 This way, you won't need to invest the time required to examine one LTL freight company after another. As you can see, we offer you more than strictly an LTL freight site. Since less than truckload shipping is one of our specialties, we vow to give you better service and save you more time and money than the average LTL freight shipping site. Your FPS freight broker agent will look at all factors affecting your desired LTL shipping -- including which LTL carriers that are "headed your way" have the best reputations and the best LTL rates. General info about all components of your upcoming less than truckload shipping experience is not enough to make wise choices regarding which LTL freight company, or which multiple LTL freight carriers, will be utilized. In reality, getting the best LTL freight shipping value requires the experience and industry savvy that comes from putting freight plans together all day, every day, for years. That's FPS. 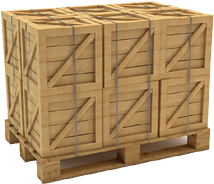 Less than truckload (LTL) shipping is the arrangement of freight that is packaged by crating or palletizing to protect it from damages that are possible through terminal-to-truck (and vice versa) handling by multiple common carriers. This co-op style freight movement through LTL carriers consolidates other people's freight going to common areas to fill trucks, allowing decreased cost through sharing the expenses.